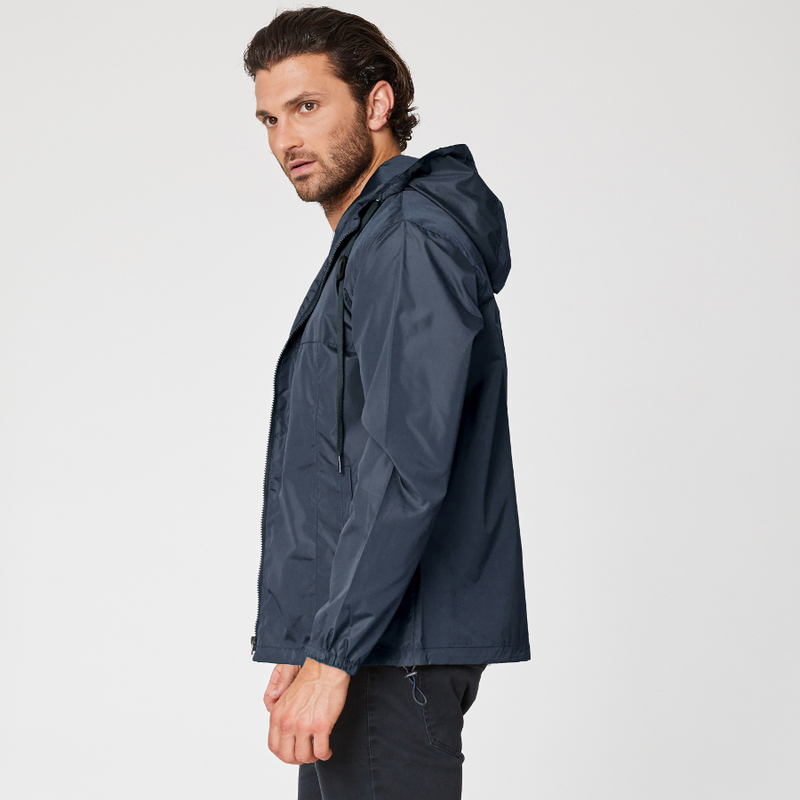 Keep dry and stylish with a sustainable material with this Thought Jamie jacket. 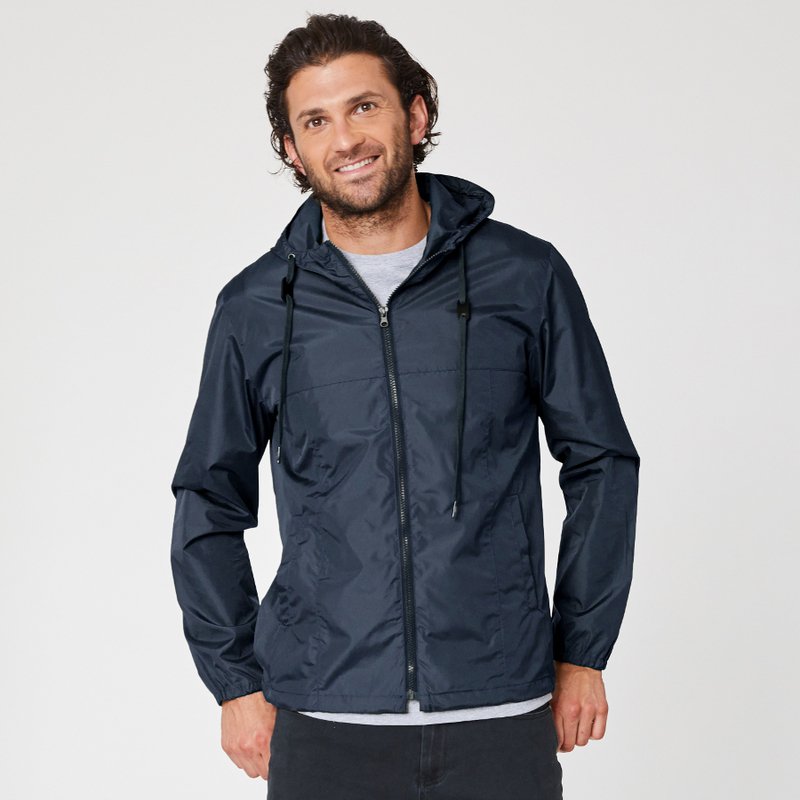 100% of this jackets material is derived from recycled polyester that retains amazing showerproof qualities. 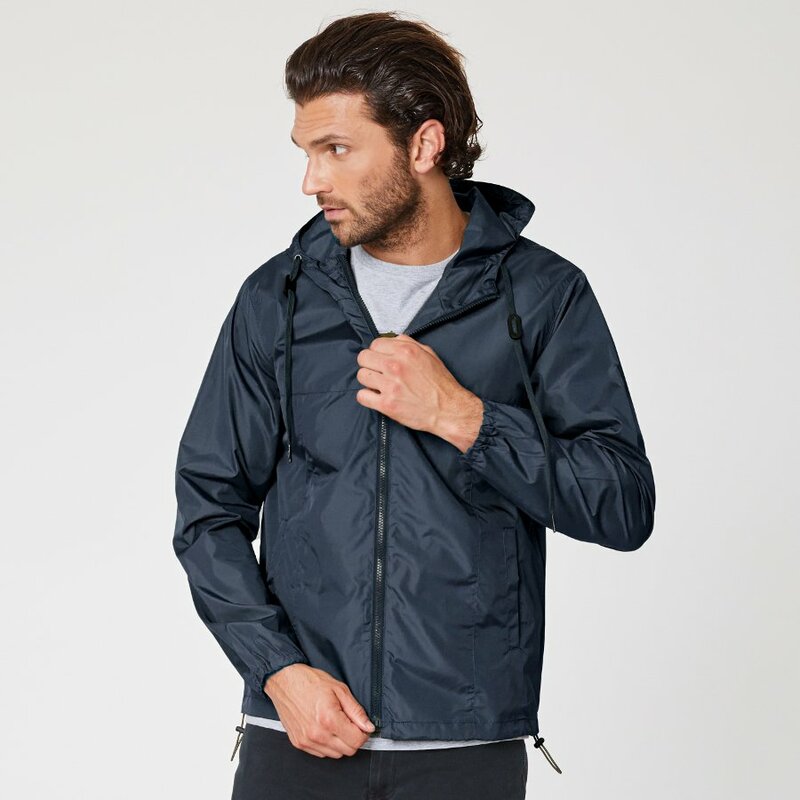 The protective hood adds extra protection against April showers, plus the chunky zip keeps the jacket securely fastened and the side pockets provide extra comfort. 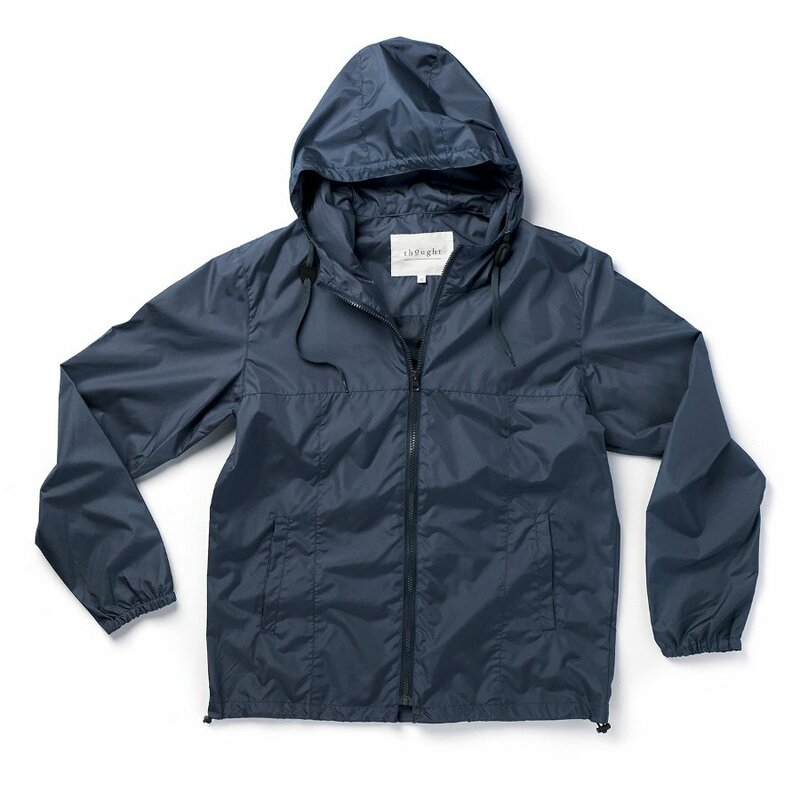 The navy tone of the polyester makes it great for complementing your outfit. 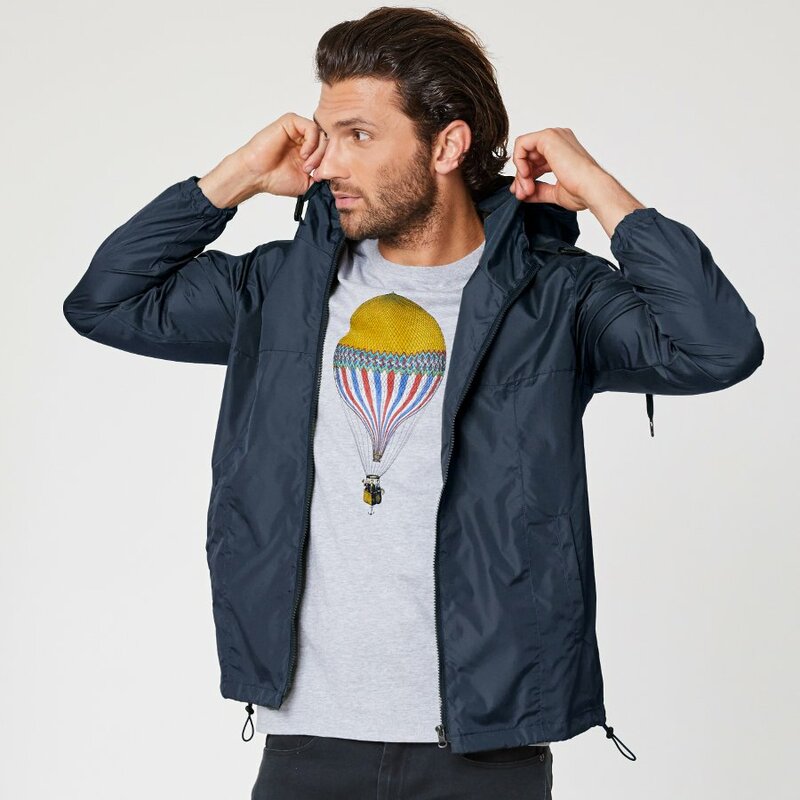 The colour is so versatile that you can layer this jacket over some warm spring/summer colours for a brilliant, stylish look. Suitable for vegans and Oeko-tex certified. Made in China. Packaging is made from biodegradable plastic. 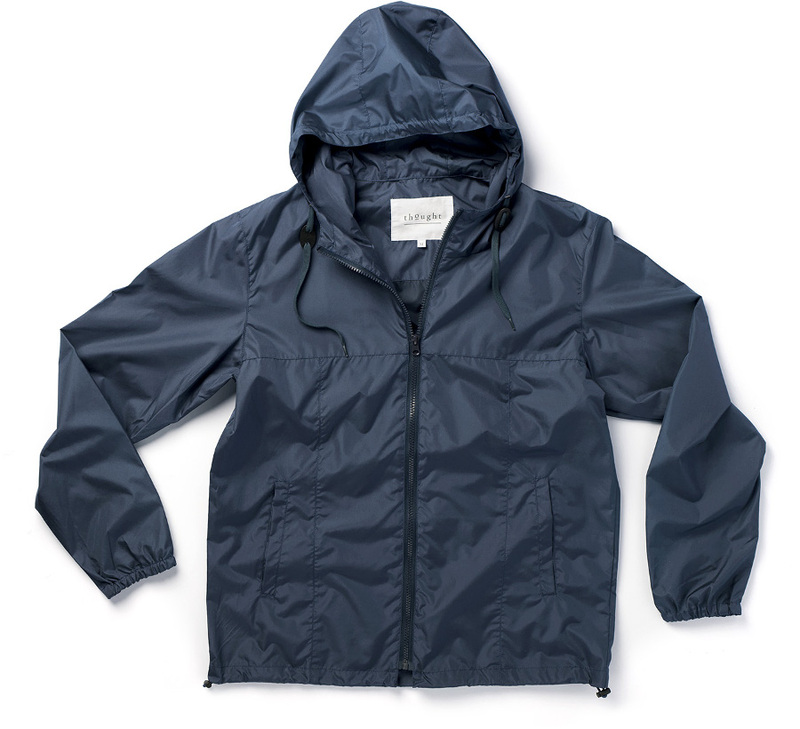 The Thought Men's Recycled Jamie Rain Jacket - Navy product ethics are indicated below. To learn more about these product ethics and to see related products, follow the links below. 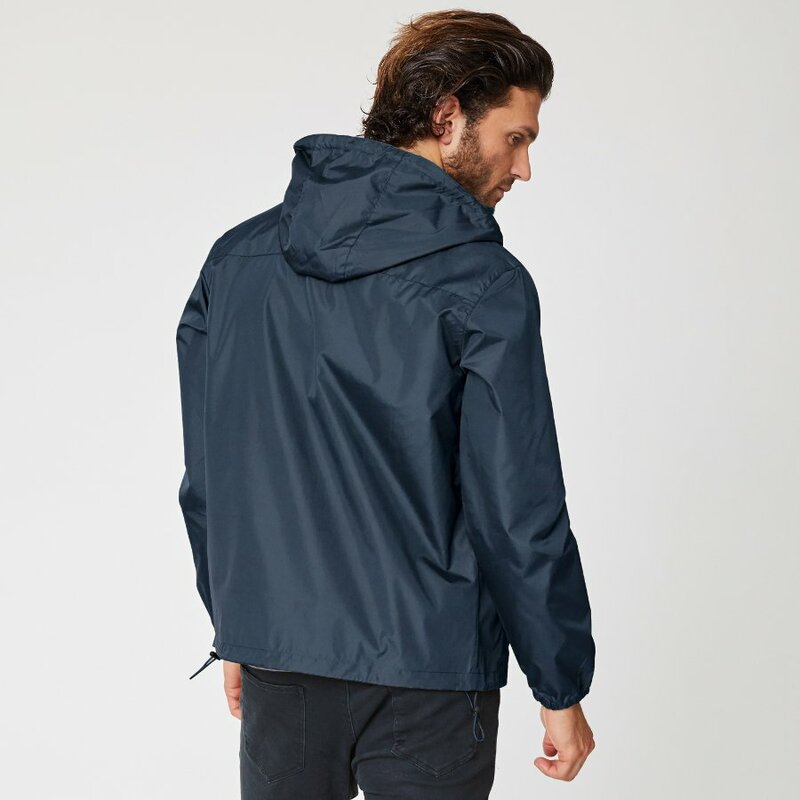 There are currently no questions to display about Thought Men's Recycled Jamie Rain Jacket - Navy.